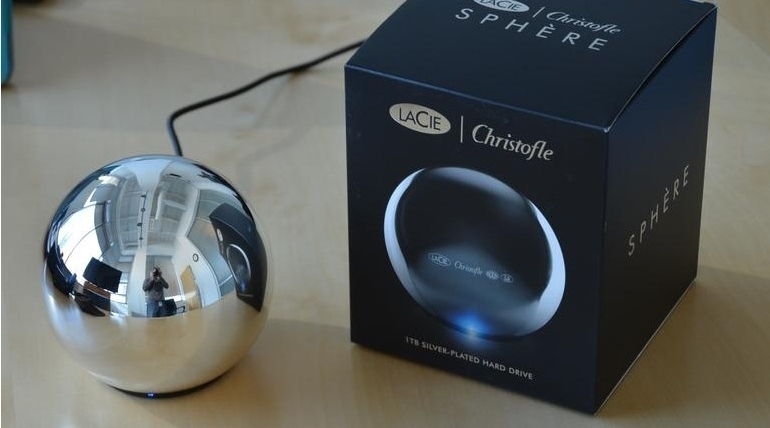 Spherical in form, and featuring a beautiful silver-plate with a highly reflective finish, this luxury external hard drive fits perfectly in the home or the office. While its indelible form will spark endless conversation among all your friends, the Sphère’s SuperSpeed USB 3.0 connection allows you to transfer files at lightning-fast rates. Dimensions (W x D x H): 134 x 134 x 125 mm / 5.3 x 5.3 x 4.9 in. Weight: 500 g / 1.1 lbs.